getting at the same time much more…SPACE!! Group A-Fabrics/1. Bags: There are 47 products. 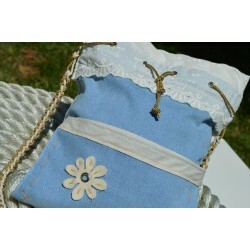 Shoulder/ Pocket bag-Dark blue Jeans-Beige Daisy-Small. 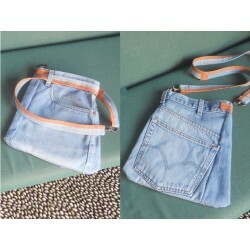 It is made from a dark blue jeans trousers, lined with a beige polka-dot cotton fabric and decorated with beige – off-white details with a long handmade knitted strap. It has 3 compartments: the central one and two smaller ones in front for our personal items. 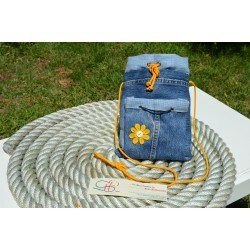 Shoulder/ Pocket bag-Jeans-Yellow Daisy-Small. 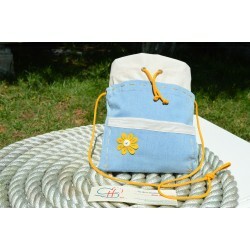 It is made from a light blue jeans trousers, lined with canvas fabric and decorated with yellow details and a long strap. 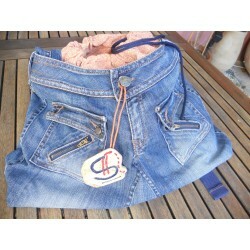 It has 3 compartments: the central one and two smaller ones in front for our personal items. 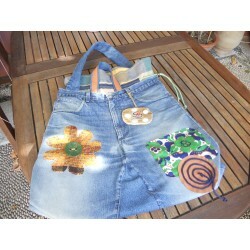 Shoulder/ Pocket bag-Jeans-Yellow Daisy-Small. 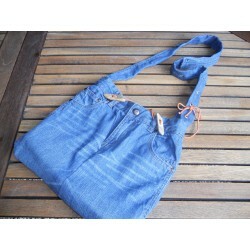 It is made from a light blue jeans trousers, lined with canvas fabric and decorated with yellow details and a long strap. It has 5 compartments: the central one and four smaller ones in front for our personal items. 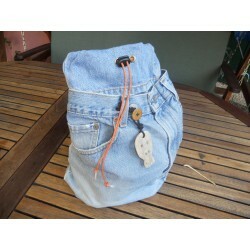 Shoulder/Pocket bag-Jeans-White Daisy-Small. 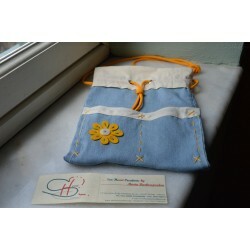 It is made from a light blue jeans trousers, lined with a cotton lace fabric and decorated with beige – off-white details and a long handmade knitted strap. It has 3 compartments: the central one and two smaller ones in front for our personal items. 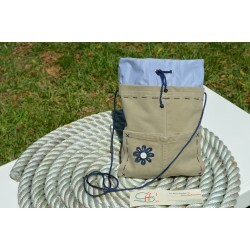 Shoulder/Pocket bag-Beige/Navy -Jeans Daisy-Small It is made from a beige jeans trousers, lined with a white/blue stripped cotton fabric and decorated with blue details and a long strap. 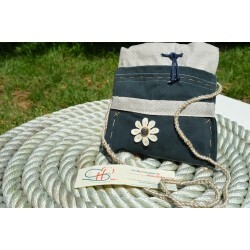 It has 3 compartments: the central one and two smaller ones in front for our personal items.